Like bread pudding, I had never made nor eaten it before. But I’ve watched Giada make it a million times and decided I had the technique down. If Rice and Risotto are two kids you babysit for, Rice is the one that you can stick in front of a movie with a snack and he’ll stay quiet for two hours. Risotto makes you play Guess Who? for two hours straight and starts crying when you get up to go to the bathroom. But ultimately, Risotto is a way cuter child so you still go back. And Risotto’s parents pay more. And I happen to really enjoy Guess Who?. Okay I’ve taken the metaphor too far. But why was the oldest daughter in Beethoven actually named Rice? 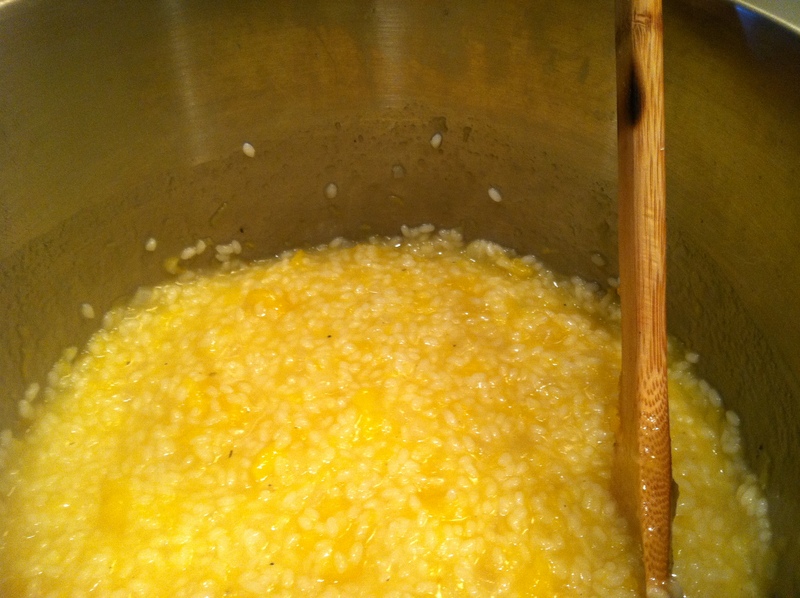 Making risotto isn’t difficult, it’s just a little time consuming and requires constant attention and stirring. You also use a shorter grain rice, such as Arborio, because it soaks up the liquid differently than long grain rice and is really starchy. I couldn’t find arborio, so I broke out my iPhone in the grocery store to see if sushi rice would work. It did. 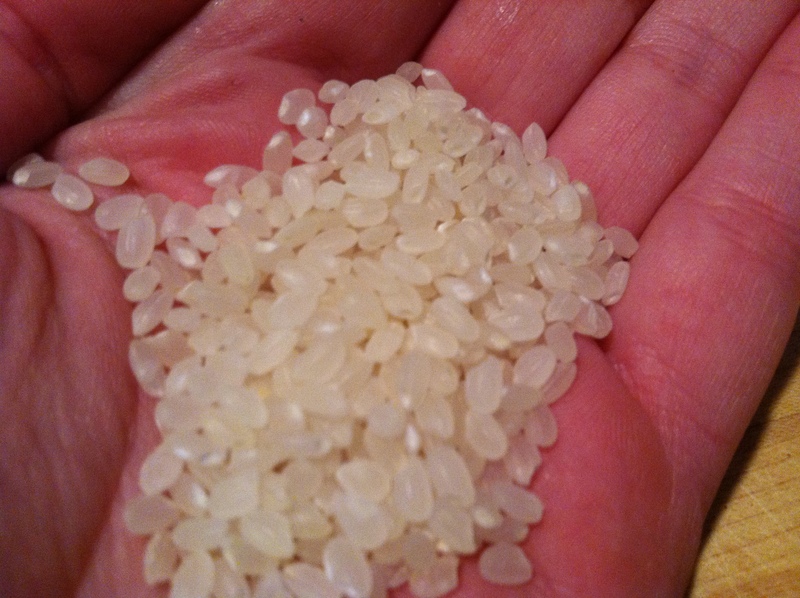 And now I will be searching for a way to make mango sticky rice with the rest of it without a bamboo steamer. 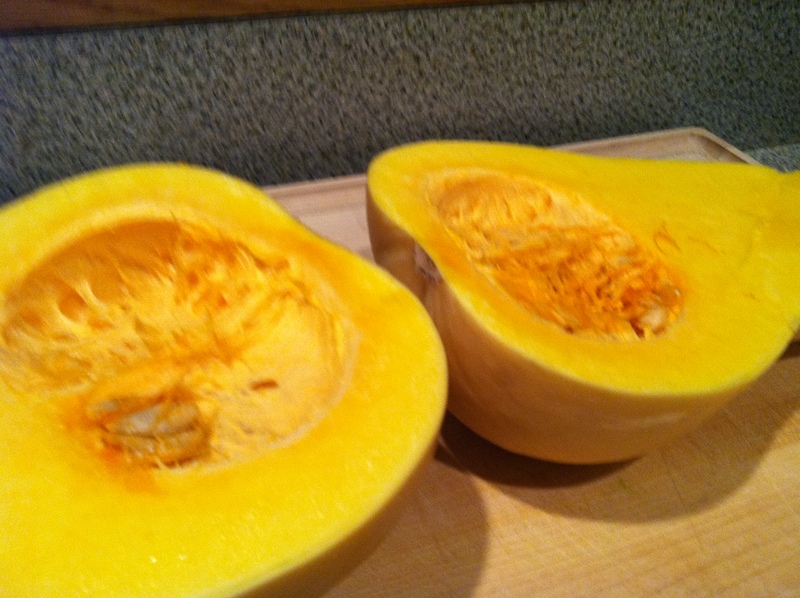 Slice the squash in half. Scoop out the seeds, and peel the skin off. 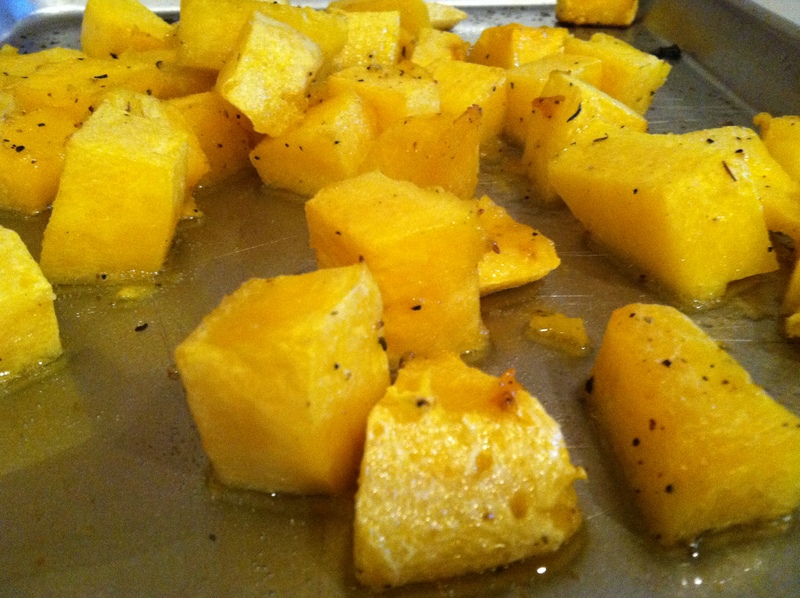 Cut into large pieces, and toss with olive oil, salt and pepper. Bake at 350 for about 45 minutes to an hour, turning it a few times throughout. Once it has cooled slightly, mash with a fork. Set aside. 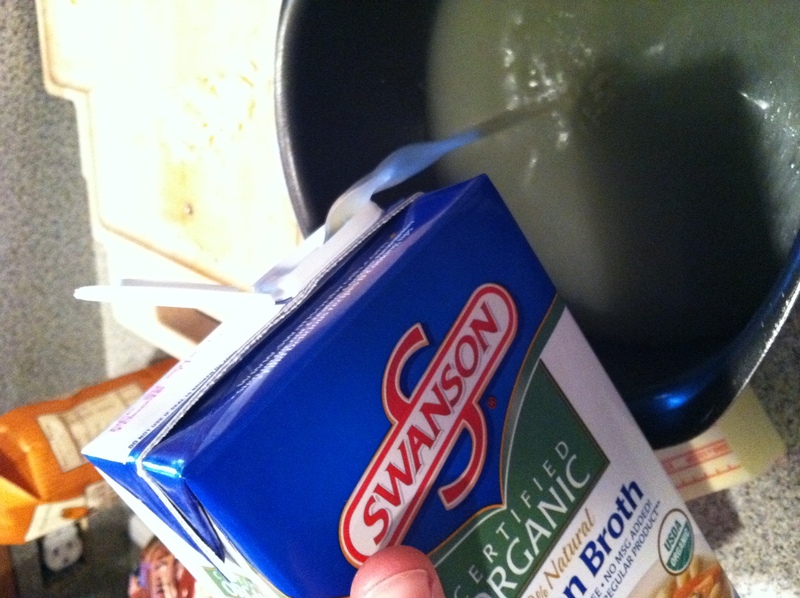 Heat up the chicken stock with a cup of water over low-medium heat. Cook the onion and 2 cloves garlic in one tablespoon oil and one tablespoon butter for 2-3 minutes. Add two cups rice and toast for another 2-3 minutes. why does my hand look so red? Add the cup of wine. Make sure you stand back a little- the Yellowtail facial I got was mildly unpleasant. Once the wine is absorbed, begin adding the stock. I added about a cup at a time. Stir constantly until liquid is absorbed, then add more. 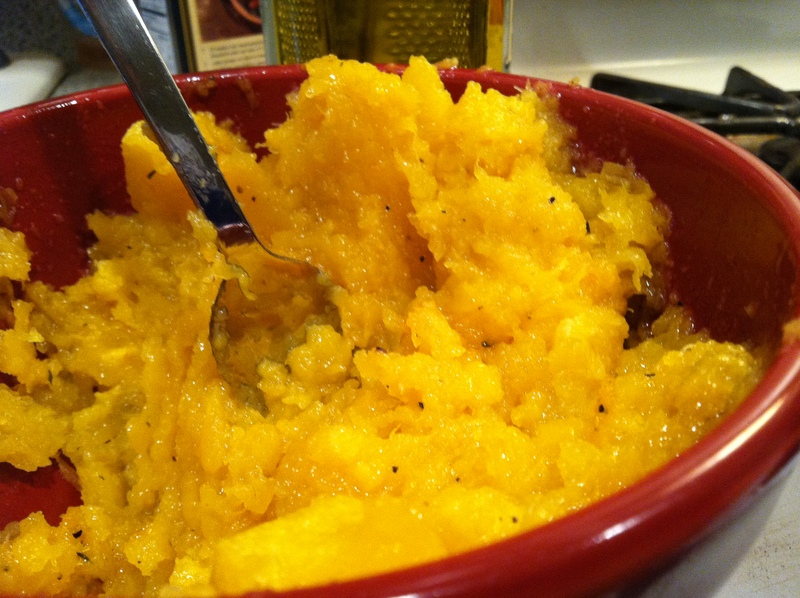 When you have about a cup of stock left, add in the mashed squash and the rest of the stock. Stir together until absorbed. Add two tablespoons of butter and the parmesan cheese and whip together until creamy. Taste and check to see if it needs more salt and pepper. 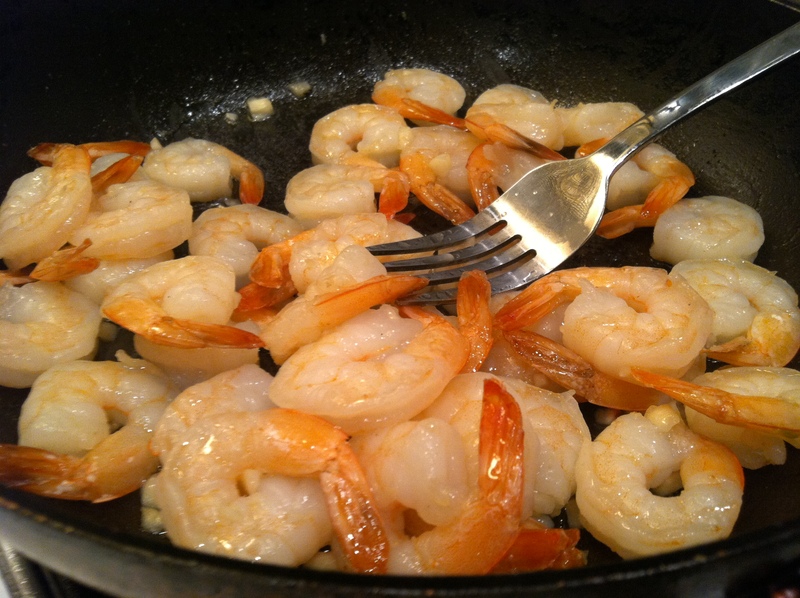 Remove from heat and cover, and cook your shrimp in a tablespoon of olive oil and the other clove of garlic until just pink. 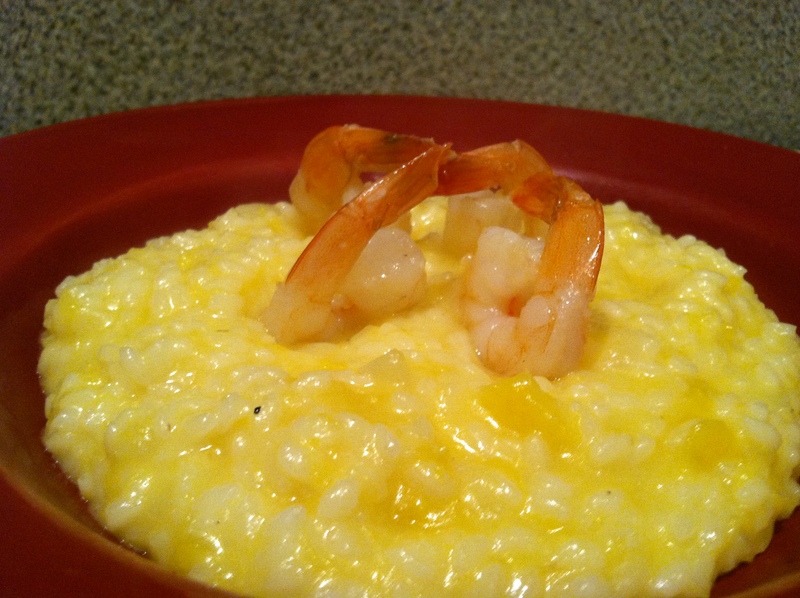 Top risotto with shrimp. Look how fancy I am!